If the tragedies and betrayals replete throughout Labour history could be summed up in common phrases, surely in the top 5 would be: ‘You cannot change anything without being in power’. History shows the opposite of this sentiment is true- time and again it has been the ordinary and the oppressed employing radical, grassroots activism that has changed society. The mocking and despair encountered from the centre of the party over Corbyn’s insistence on Labour being a movement, not just a political party, misses this key point. Radical change can’t, won’t and shouldn’t just stem from parliament. 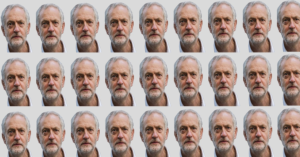 The centralising and at times elitist tendencies of previous Labour years need to be replaced by radically democratising principles that situate the Labour Party as a conduit for radical British political energy, one that engages and empowers ordinary people, not one that is done to them by a small elite. And we need to be doing this now. This doesn’t mean Labour should give up on elected office, but it does mean we don’t wait for it, because the sort of change we need to be seeking has to be more deeply rooted than squeaking into government in the next election. For Labour to be a conduit for this change, it needs to be embedded in local communities, not just door-knocking at election time but constantly campaigning on local issues, employing grassroots activism to see progressive change (whether we hold the council or not). Petitions, sit ins, occupations, lobbying, rent-strikes, student activism, leafletting, blogging, letter-writing, charity work, unionising- the list is endless. Our local party’s shouldn’t be happening outside this, but through it- radical activism, that is making practical differences to the local community outside of election time, should be the bread and butter of every local party meeting. These meetings should become places of intellectual and organisational vitality, where the passions, ideals and energies of activists are unleashed to form collaborative policy and campaigning ideas. The vision for national renewal developing within the party needs to be matched by visions for every community across the country, and strategies for achieving this through radical, grassroots campaigning developed that don’t solely rely on getting more council seats. Some CLP’s doubtless already do this very well, and many individual members are fantastic union and community organisers- what we need is the weight of local parties supporting and encouraging them. Momentum is doing fantastic work in developing activist skills- spreading this throughout the party is essential, by investing much more time and money in grassroots training and organising, not just giving a volunteer a script but inspiring them to fuel a revolution in British politics. 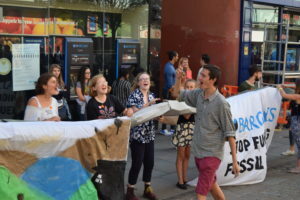 Local party calendars need to no longer be absorbed with council business or fundraising, allowing instead space for creative, constructive activism to flourish. This in turn impacts how we approach electioneering. Gone need to be the days of targeting narrow segments of the public to swing just enough seats to squeeze into parliament- that’s not what a revolution looks like. We need to be going into the heartlands of Tory heartlands and convincing those that voted against us, or those that have never voted before, mobilising whole communities. We need to be expanding on the style of campaigning advocated in ‘Rules for Revolutionaries‘ (written by Bernie Sanders campaigners), and partly embraced in Corbyn’s campaign and Momentum- ‘big organising’ that reaches out to huge numbers of people with organic (phone, or face to face) contact, with volunteers being given responsibility and trust to organise their communities. The key to this is decentralising campaigning and trusting those volunteers and activists to take leadership in those campaigns. The energy and dynamism we have had so far has been driven by the radicalness of the Corbyn project, and we’ll only sustain and build on the engagement we’ve had by keeping this. We have, refreshingly, articulated an alternative to the neoliberal policies that have dominated world politics for the last 40 years. That was a huge hurdle, and it was right we started there. Yet whilst being wedded to social democracy cures some of the ills of neoliberalism, it completely fails to address many others. It is woefully unable to stop climate change, to end drastic inequality or to grapple with rising automation. In short, parting with neoliberalism is necessary, but not sufficient. We need to start developing policy with a long term view of moving away from capitalist social relations. This means a number of things. We need to be focusing on communal ownership (this doesn’t, and shouldn’t, always have to mean centralised state control), that gives local communities and workers control over their own lives and enables a more equitable sharing of our natural resources. This stands in stark contrast to the endless growth pursued in the vain hope that capitalism and democracy can be balanced out. It’s not about the state, but about community- not about some Fabian fantasy that spurns the power and potential of people, but about empowering communities to control their own fates. Public stakeholder banks, higher education models such as those practised by the Social Science Centre and building on the community ownership of energy pledges in our 2017 manifesto are all great examples of what this could look like. Labour’s ambitions towards carbon reduction need to be bolder and clearer, abandoning the idea of maintaining support for fossil fuel industries and the hope that markets alone can solve the crisis. Climate change comes with a very short time-frame in which to act and slow, cautious, compromised approaches have not and will not save us. Sustainability needs to be an overarching economic approach, explicit in all of our policy, not just a set of green policies tacked on. Removing our focus on growth and instead focusing on redistribution and sustainability is crucial to this but anathema to capitalism. Democratisation cannot end at the fringes of our own party either. Labour needs to be seriously thinking about shifting our electoral system towards a more proportional system, reforming the second chamber so it is more democratically accountable and to be devolving more powers to local councils and regional assemblies. This would begin to wrest control from political elites with a vested interest in the current system and force it instead to focus on the needs of communities. There are still many electoral issues that blight us; declining support in some working class areas; a sizable chunk of Labour support came from tactical voting, or parties not standing against us and Brexit will be both an electoral and economic challenge. The country is far from signed up for socialism. But by putting forward radical policy that actually offers solutions to today’s problems, along with radically new ways of organising within British politics, we can overcome these challenges in 2018. 2017 has proven that we have a viable shot at achieving government- in 2018, let’s show we deserve to. The comments from Rob Bryher and Alan Borgars are a counsel of despair. If you don’t want to debate the relationship of Corbyn’s Labour Party to ‘a radical, democratic, green movement’, you really are lost. 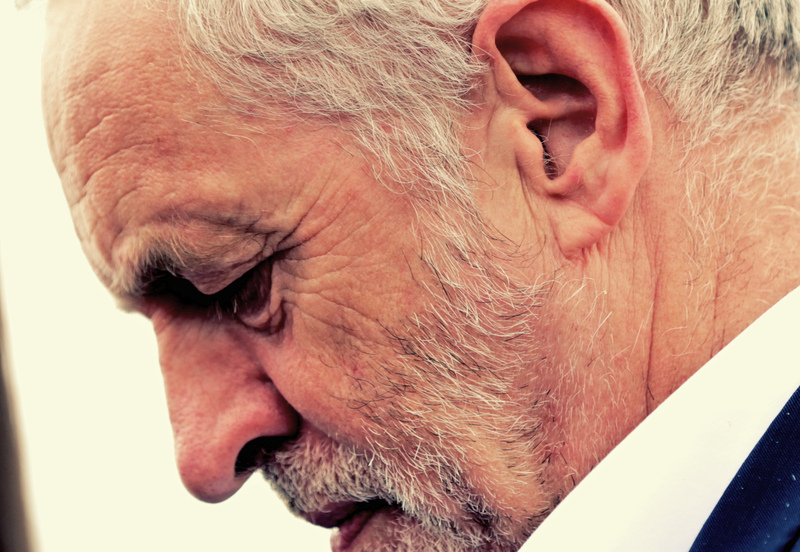 The prospects for the Green Party won’t be improved by pretending that the Corbyn leadership of Labour didn’t happen – and closing down debate about the consequences is hopeless. I agree that it’s silly to have Labour articles on here. Why not just write for Labour List or another Labour blogging site, Bradley? Pro-Labour articles should not be allowed on a website clearly devoted to Green politics, especially when much of this site’s readership includes younger members of GPEW, SGP, and GPNI. 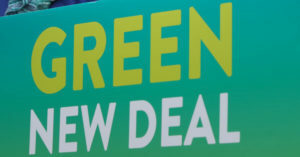 This site is devoted to green, as well as left and progressive politics, not Green politics. Only publishing articles in favour of one political party would be an incredibly restrictive editorial policy for a political site. What makes you feel you have the right to demand this? (The article also isn’t technically pro-Labour- it makes an argument about the direction Labour should take, it doesn’t tell you to vote for them). Thanks for a clear exposition of a workable way forward.